No hunter is a real hunter until he has all the gear and hunting clothing that she/he needs. Knowing what to get and what are you going to use it for is very important when hunting as various weather conditions and various types of hunting have the final word when shopping. If a hunting jacket has to be waterproof, tough, warm and as light as possible. It’s supposed to protect you against the elements, wick the moisture and be easy to carry around when it gets too hot. On a winter hunt, though, the hunting jacket is far more important to be warm, but still provide good breathability. And, if its flexible and gives you freedom on the move, you got yourself the best deal! What about the hunting pants? How do you tell apart the best camo hunting pants from the ordinary ones? 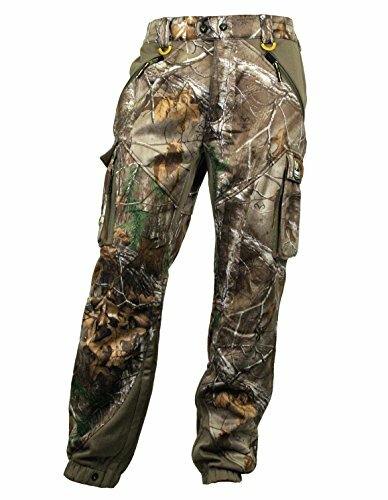 What are the good and the bad to look for when shopping for hunting pants? And, far more important, do you really need the hunting pants in the first place? 0.1 Why get yourself hunting pants? 0.2 What makes a good pair of hunting pants? Why get yourself hunting pants? When your wallet is not very generous and its rather warm outside, wearing some usual underwear and camouflage pants might be enough. 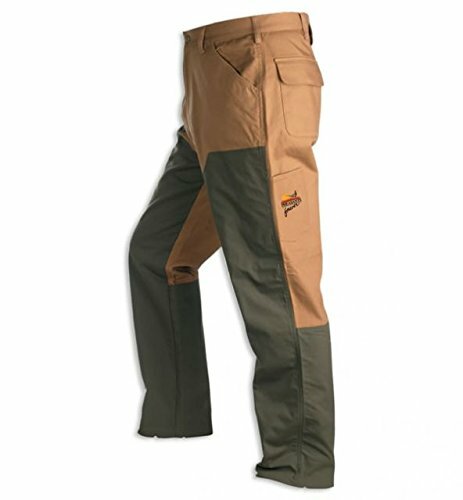 If you know that it’s not going to rain and your hunting is not near water, then you don’t need waterproof hunting pants. But, when it gets cold, rainy, snowy, windy…the situation changes and the need for good hunting pants is more than obvious. The long underwear is a good tip to consider when hunting in the winter time. But some hunters even don’t care for it as they get cold from their feet and give more importance to some good, warm hunting boots instead. 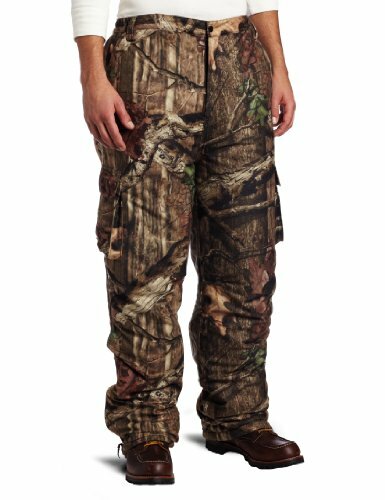 Most of the hunting pants are camouflage pants and which pattern do you go for is almost non important. Camo pants make a difference when you’re out in the field and you don’t really blend into surroundings. This is why some hunters are very passionate and make good investments and choose different patterns on their hunting pants, according to the hunting area where they are going to hunt. What makes a good pair of hunting pants? When it comes to thickness, the hunting pants may be medium, heavy or light. The more they weigh, the more protection and warmth they provide. Nowadays, new technology creates fabrics that protect against the elements without gaining too much weight. But, the higher performance on the fabric, the higher the price on your hunting pants. Your hunting pants have to be as quiet as it’s possible and control scent as much as possible also. You may also control your scent (don’t smoke, don’t wear the hunting clothing in public and so on) so that your hunting pants are as scent free as much as possible. You should also consider go up a size when buying your hunting pants as you will want them to fit you over whatever you usually wear on a hunting trip. Of course, for the hunters with a lower back sensitive to cold, there is always the option of the hunting suits. Seek that your hunting pants are an inch or two longer than usual so that you tuck them into gaiters. This way, the pants won’t drag in anything nor flap around your ankles. Tuck the pants so that they bunch a bit at the knee for an easier climbing, for instance. Keep in mind to stay away from the rain pants. They are useful but have no fly’s, hence, the obvious problems. Zipper pants are the better option anytime. The more you take care of your hunting pants, the longer you’ll have it around. Avoid washing them too often as the UV effects might have a bad influence on the fabric. Some fabrics glow in low light conditions. Some UV sprays prevent some of the UV glow and you should wear blue jeans outside at dusk on a night, bright moon and everything to see your glowing pants. Even though this might look like a fashion advice, all hunting pants reviews state the importance of a dedicated hunting belt for your oversize hunting pants. This belt needs to fit your normal pants and camouflage pants all together. Go for a dull color, noise less belt and with no shiny details on it. When your budget is not over the sky but you still want a good pair of hunting pants, for a good price, try these Yukon Gear Men’s Insulated Pants. But, for the money you pay, these are a great choice anytime. 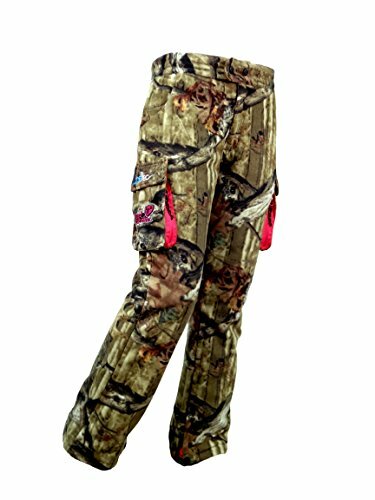 Specially made for women, these ScentBlocker Sola Women’s WindTec Insulated Pant are an amazing choice as they give warmth and comfort, above all. But, all in all, these qualify as good women hunting pants, efficient and fairly priced. Arctic Shield QuietTech Pants are a good option when waterproofing is the no.1 thing that you care for on your pants. When it comes to the cons, there is only one to mention: the breathability. As they keep you very warm and as they are windproof and water resistant, they lose on the ability to breathe well. But, all in all, these are great hunting pants anytime. But, all in all, the pants are still a good buy and a good investment of your money. As an avid hunter you already know by now that is highly important to be scent free when hunting. 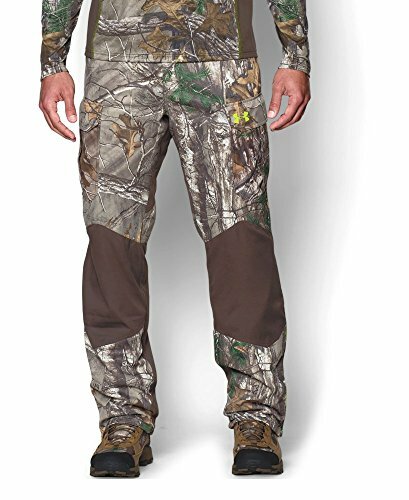 A great pair of hunting pants that helps you on that is this Scent Blocker Matrix Pant with Windbreak. But, when it comes to scent blocking and waterproofing, these hunting pants are a wise decision anytime. For the hunters who really likes the natural fibers for its qualities, a good option is this First Lite Kanab 2.0 Lightweight Pant. Apart from these, we are very confident with these wool hunting pants, which are of high quality materials and high performances when hunting just as well. But, for the money you pay, these upland pants are good quality and great performances on your upland hunting. 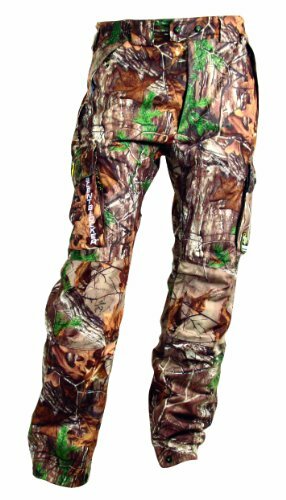 For the hunter men out there, a good pair of hunting pants is this ScentBlocker Outfitter Hunting Pants. 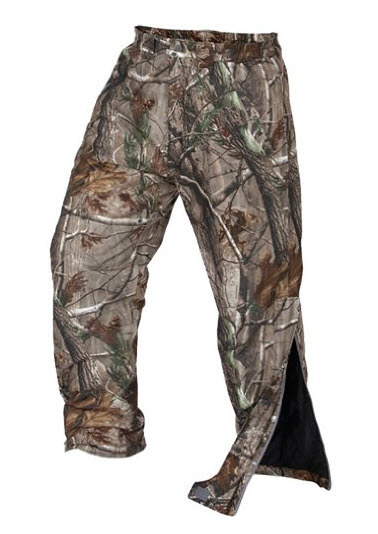 As waterproof hunting pants, these are definitely the pants to consider when shopping.